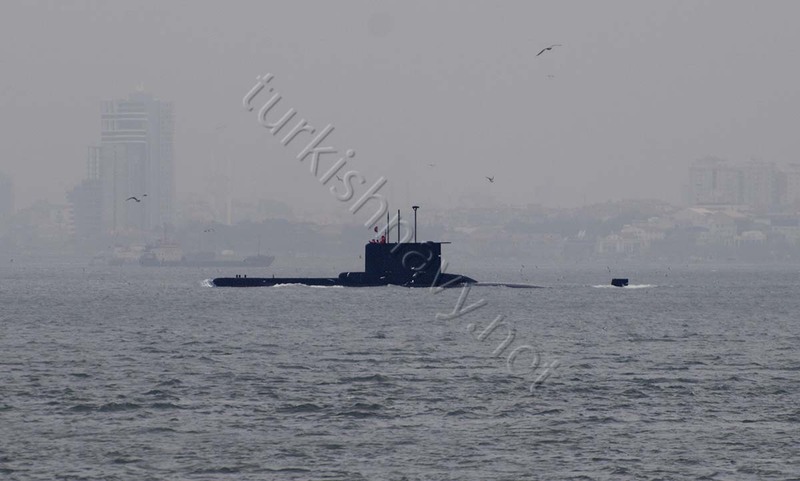 An Ay class submarine passing through Istanbul. This is not a story you may find in Turkish naval circles online. According to Greek Defense and Foreign Policy website E-Amyna, Turkish Navy bid farewell to her oldest submarine TCG Atılay on 30 November 2016. TCG Atılay was the first submarine build for Turkish Navy since the end of the Second World War. She was constructed build in Kiel by HDW shipyard and commissioned in Turkish Navy in March 1976. TCG Atılay was based on German Type 209 design one of the most successful submarine designs in post war years. Though there is no information about TCG Atılay‘s fate after being retired, Turkish Navy does not send its decommissioned submarines directly to breakers. Thus it is highly possible that she will remain as a floating charging platform for other submarines. She may be even serve, as a test platform for the systems developed for the Milden (National Submarine) project as mentioned by E-Amyna. Why not taking their word, when they can report on Turkish Navy better and faster than Turkish Navy itself.